We're excited to announce our inaugural podcast for our new companion podcast series for our Prince and Prince-related Inside The Album podcasts: Behind The Film and Behind The Album podcasts, to differentiate when we talk with members of the purple kingdom who worked directly with Prince. 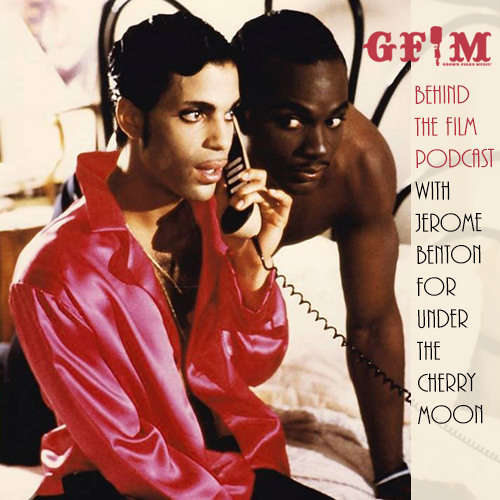 We are extremely honored to have The Jerome Benton join Polished Solid, live in the real studio, as our first guest to discuss Prince's directorial debut, Under The Cherry Moon, but with all of our Prince and Prince-related podcasts, the conversation with Jerome migrates to other Prince-related topics too. We hope this is the first of many, but please be patient as it takes time to coordinate schedules. A very, very special thanks goes out to Jill Monroe for helping us turn this longstanding dream into a reality. Thank you sooooo much for this interview!!!! @friscochic522: Thank you for your kind words and for listening. Great interview, and you got a rarity... Jerome!